Diann Parkas has been a Jewish believer in Jesus since 1983. 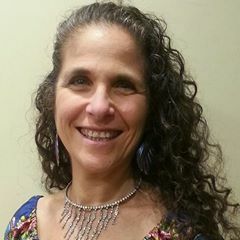 She grew up in a Jewish home, had a traditional Bat Mitzvah, and never considered following Jesus, until she met a Jewish believer in Jesus who told her that following Jesus was about a spiritual relationship, not religion. She learned that a Christian was a follower of Messiah, and by that definition, she could be Jewish and also be a Christian! Diann was a dancer when she became a follower of Yeshua (Jesus) and she immediately dedicated her dancing, as well as the rest of her life, to Him. Her desire is to bring glory to Yeshua, and to point others to Him, through every aspect of her life. Diann earned a Master of Arts degree from NYU and is currently enrolled in a PhD program of Biblical Studies at Antioch Baptist Bible Seminary. Diann has worked in Jewish Ministry alongside her husband, Peter, during their 30 years of marriage, until Peter went home to be with the Lord on July 21, 2017. Diann is continuing the work of the ministry and is using her gifts of teaching, writing, public speaking, hospitality, choreography, and dancing, to reach out to the lost sheep of the house of Israel, and to all who will listen. Her desire is to be used of God to lead others to saving faith, and to inspire and instruct Christians in sharing their faith, especially with Jewish people. She also has a passion for teaching the Bible in its Jewish context, and discipling and equipping Bible believers to serve the Lord and others with biblical maturity.